deVine welcomes Lee Hanson of Barrel Hunter Import & Brokerage Ltd for our annual Top Drops Scotch Tasting on Saturday, November 3rd at 7pm – $55. 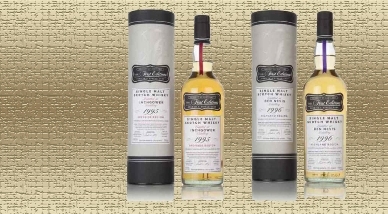 Lee will have with him a very special guest – Andrew Laing, Export Director of Hunter Lang & Co, the unrivalled blenders and bottlers of the special First Editions scotches that we will be tasting. Founded in 2010, the origins of First Editions are rooted in the decades spent growing up in and around the scotch whisky industry, and with the respect and passion for the spirit this history has instilled. With a label inspired by the classic elegance of an antique manuscript, the First Editions brand is the mark of quality which appears across the core range of single-cask bottlings of malt whisky. They review their maturing stocks on a monthly basis, drawing samples from casks that may be ready for bottling. Always mindful of the benefits of a whisky being from just a single cask, they will bottle it when it is at its best for drinking rather than being influenced by “round” ages such as 18, or 25 years old. The First Editions bottlings are always at cask-strength and, naturally, without artificial colouring or chill-filtration. We strongly encourage you to attend (and bring a friend), this is a giveaway tasting given the quality of the drams presented. A not-to-be-missed event even if you’re remotely interested in discovery about rare and expensive Single Malts. Cocktail culture is seeing a major revival these days, with some of the most enjoyable things involved in sipping spritzes – the Italian wine-based cocktail commonly served as an aperitif in Northeast Italy. The drink is prepared with prosecco wine, a dash of some bitter liqueur such as Aperol, Campari or Cynar and then topped off with sparkling mineral water. It is usually served over ice in a lowball glass (or sometimes a martini glass or wine glass) and garnished a slice of orange, or sometimes an olive, depending on the liqueur. Some have even started substituting real Champagne in place of Prosecco. 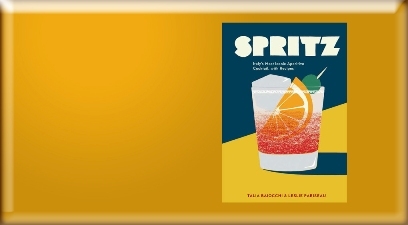 Whether its nibbling from little bowls of stuffed olives, pesto or potato chips etc, and watching time pass by, spritz is the way to go.“Spritz”, the book is the perfect introduction to this kind of culture – the book is compact, nicely illustrated, and filled with anecdotes and recipes for classic fizzes as well as more modern iterations from top bartenders. It even has food recipes for pairing. With Christmas not so far away, this would be a wonderful gift idea and its already flying off the shelves. It’s That Time of the Year for Pumpkin Beer! Once again, we’ve approached that time of year when everything goes pumpkin! Pumpkin glazed doughnuts, pumpkin spice lattes, and of course, our favorite here at deVine…pumpkin beer. 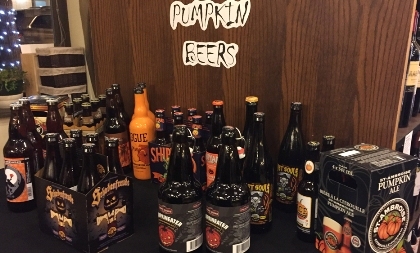 Documented use of pumpkin in brewing beer has been occuring for roughly 400 years, predominantly in the U.S. and Canada due to the pumpkin being a plant native to North America. In earlier centuries, pumpkin was more easily acquirable than the other grains typically used for malt, and many a brew was concocted using 100% pumpkin flesh as the fermentable sugar. The 18th century was the most popular time for pumpkin beer, but as decades passed, it’s prevalence waned as pumpkins became perceived as old fashioned and unsophisticated. Further, it became more ‘run of the mill’ to have access to quality malts in the 19th century. Since then, the use of actual pumpkin in brewing has lessened, and generally given way to the use of the spices that are used in making pumpkin pie (i.e. nutmeg, cloves, cinnamon, star anise, ginger) that reminds us of Fall and the familiar flavours of Thanksgiving desserts. Although the pumpkin pie style of brewing pumpkin beer is usually more popular, there are still breweries that use the flesh and meat of the pumpkin itself to make more of a ‘true’ pumpkin ale. A well-crafted blend of blond and caramelized malts, gentle hops, cinnamon, ginger, nutmeg, cloves and pumpkin. It’s delicate malty character and hint of sweetness will quench the thirst of any creature looking for easy-drinking refreshment. Rogue picks their pumpkins fresh from the patch, loads them on a truck, and drives them 77 miles to the Newport, Oregon brewery, where they are roasted and then pitched into the brew kettle. Delicious notes of orange peel, cinnamon, cloves, cardamom, vanilla, ginger & nutmeg compliment the malty pumpkin backbone. Yukon brews this ale with 60 kg of pumpkin, as well as molasses, demerara sugar, crushed cinnamon sticks, pureed ginger, crushed whole cloves, and whole nutmeg – and oats for body. The result is pretty much pumpkin coloured, and very smooth and creamy. Close your eyes at the nose and you’ll think there is a slice of pie on a plate in front of you, but when you fill your mouth, the perception is more like pumpkin cheesecake, full of delicious flavour and mouthfeel. deVine Wines and International Cellars Inc. are thrilled to be having two famous houses from the Piedmont in Northern Italy here with us on the same evening – Monday, October 17 @ 7pm – $55. Winemaker Giovanni Correggia from Matteo Correggia and Export Director Luisa Rocca of Bruno Rocca will both be here to talk and present wines from their respective estates. These two young wine guru’s are representing the youth movement ongoing in the region. We visited both estates in April of 2013 during Vin Italy 2013 and were duly impressed and you will be too. Matteo Correggia is in Roero, a geographical area in the north-east corner of the province of Cuneo in Piedmont, north-west Italy while Bruno Rocca is in Barbaresco proper and whose estate dates back to 1834. We’ll be tasting three reds from each house – only 30 seats available for this sit-down event. Come and say hello and learn about the history and principles behind these two wonderful estates. Advanced registration is required for this tasting. More information and register for the tasting here…. Our October Case of the Month – $222.49 is a great sampler case for those wanting diversity, discovery and affordability in everyday drinking wines. 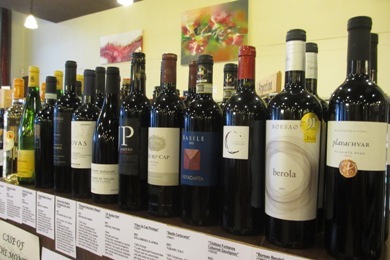 We choose wines for this case to showcase their true varietal characteristics from wine regions from all over the world. It is seasonal in nature as well, more whites and pinks and lighter reds during the summer and now more full-bodied reds as fall approaches. It is a great way to discover your palate besides always having some wine on hand. 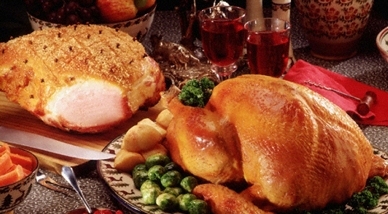 October features several wines suitable for the Thanksgiving Dinner table. Offerings are from all over the world including Italy, France, Portugal, South Africa, Spain, Chile,Argentina and a first for Croatia with a wide assortment of grapes for every drinking occasion. You can read more information and purchase the October Case of the Month online here..
Wow…Thanksgiving week is upon us, so here is our annual picks to accompany the classic turkey and/or ham dinner with all its fixings. Start your evening off with a sparkling wine,followed by whites, reds, a dessert wine and perhaps this year add a little meditation course for Amaro or Port. As for dessert, i would recommend a Pedro Ximenez from Spain for that Pecan pie pairing. Others listed below would pair well for fruit based desserts. Port is always good for the final touches of a meal, but the digestif Amaro from Italy is on fire. Finally, if you are pressed for time, try out our October Mixed Case – $222.49 where a lot of the wines would pair well with Thanksgiving dinner.